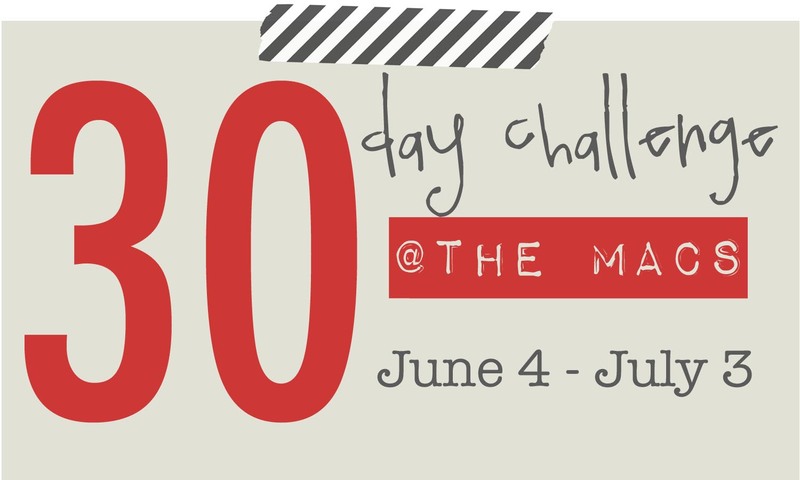 The Macs: 30 day challenge...did you make it? 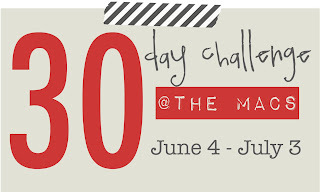 So, I didn't forget about the 30 day challenge. Mine ended on July 3rd and with all the craziness of getting ready for our Fourth of July party I didn't get a post written that day. But I made it. How about you? I have to be honest with you. The days when my kids slept as planned and I got up before them went great. I love having that time by myself with the Lord to prepare my heart for the day ahead. I need that. But the occasional mornings when a certain little boy decided he needed his mama at 6 or 6:30 in the morning and was up for the day...I struggled. I would try to plan to set aside time later but I really struggled to not be distracted later in the day by my to-do list...or the computer...or the phone...or kids who don't nap...or whatever. But really, how can I have time to check in on my friends through instagram and blogs and not have time to spend with my Lord? So that is what I need to continue to persevere in this summer. Getting up in the mornings for my time with the Lord, but planning and sticking to a "Plan B" if for some reason my kids decide it is a good idea to get up early with me. How do they always know when we are up? I was reading through a BSF handout about how we approach our time in the Word. I thought it was so challenging and wanted to share it with you. These questions help us move from our quiet times being a routine check-in-the-box to an intimate time with the Lord guided by the Spirit. And just one picture of my boys from this morning. My little readers. They both love books. One loves to read them and one loves to eat them. :) Levi is starting to really love reading his Bible. I love that. I am praying that the boys would not only have a love for reading but also a deep love for the Word of God. But guess what? That starts with me and Joel. Our boys need to see their parents engage deeply with God through His Word. No pressure, right?! That I will daily remember my own need to be taught by God's Word and filled with His Spirit so that I reflect the joy of the Lord before my children (Psalm 16:11). The priority of my day. We may belong to different religious denominations but you inspire me. We believe in the Bible also so these references are especially key to me. Thank you for the challenge and sharing your experience. You're doing so much good in spreading the word of the Lord, but especially in your own home. What a blessing you are to your friends and family and even us in Blogland. I loved BSF this years. It was my third year to do the study and I a already getting itchy for Genesis to start. Thank you for your openness and honesty on carving out a little time with Him. I have a 7 week old (and a 3 year old) and have started using the middle of the night feeding to pause and devote to God. It is ONE time I know my 3 year old will not be tugging at me in one way or another. It isn't always easy, but everyday I begin with Him is without a doubt, easier, my spirit if more giving and loving and I am just a better mom/wife. But I am also guilty of checking Facebook or blogs more often than I check in with God. Why I place this false importance on those things I have no idea. Father God never needs a "break" from being my guardian or parent as I do with my boys and that is yet another example I need to follow. Your family is beyond precious!! I havent been doing good at making time...we went out of town and then found out we were moving and Ally hasnt been sleeping and well, I am sure everyone knows how it all that goes. But I am dry and my heart and soul are hungry for some good quiet time so this week I am trying super extra hard to squeeze it in! Hi Jess - yes, I made it to my 30 days - and I am continuing for sure. I feel better on the days I spend more time in the word. I still cry and get emotional at the strangest things - but this challenge has prompted me to really find the time to devote to God. Early am works best for me, as I have my morning cup of coffee. I so appreciate you doing the challenge - I don't know how you do it with two little ones. yay, i made it to my 30 days too. i agree there def were some days i struggled, mostly on weekends. some days i would "catch up" but then regretted doing it in a rush feeling like i was just doing it to do it rather than meeting with the Lord. thanks for this challenge/journey beloved sister in Christ!